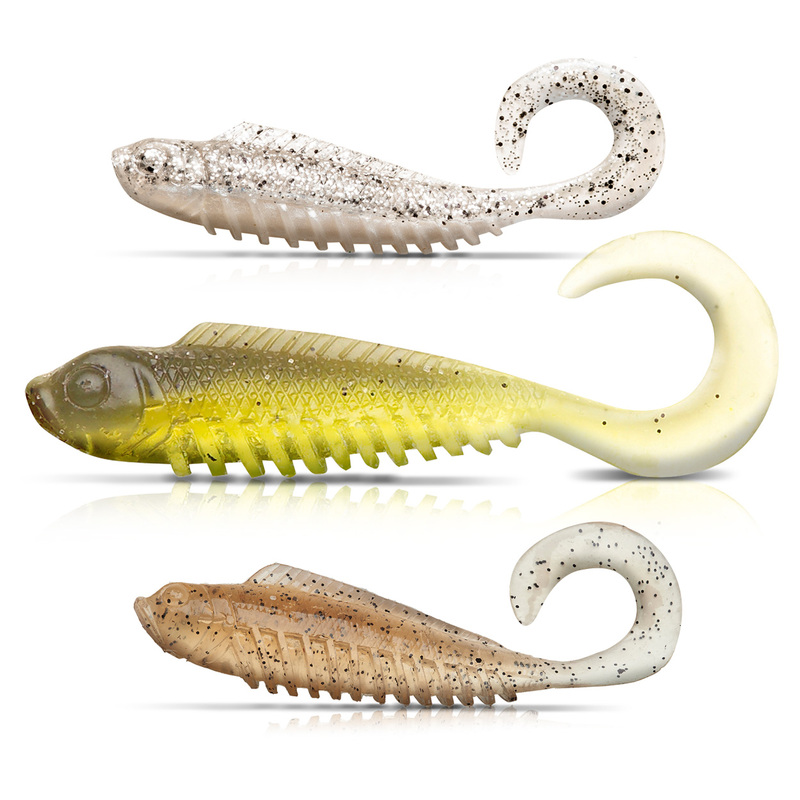 To be honest, we still don't think we've made a better lure than the remarkable Squidgy Wriggler... except maybe the Squidgy Pro Wriggler! Hand-picked sizes and selected colours, more tails per pack for better value, and now with that amazing S-Factor feeding stimulant thrown in for good measure... Rig a Pro Wriggler on an appropriate jig head (trim the head flat first with scissors if you need or wish to) and pitch it into fish-holding territory, working it with a seductive lift-drop-lift action that keeps that soft tail undulating and makes those little belly flaps create their unique sonic signature in the water. 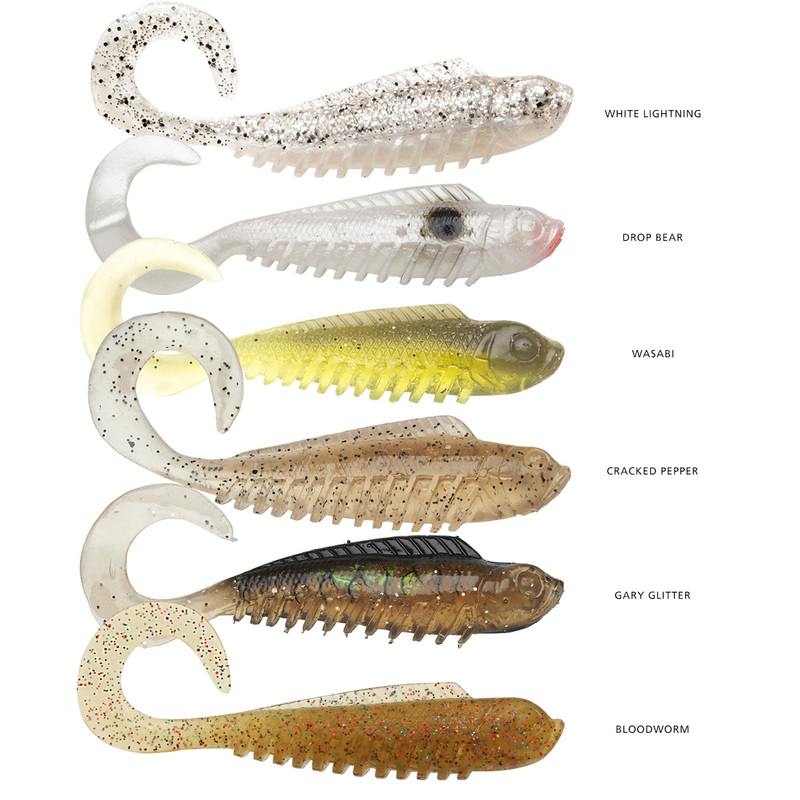 However you rig it or work it, nothing spells "food" to a fish like a pulsating Pro Wriggler! If you can't catch a few fish on a Squidgies Pro Wriggler smeared with S-Factor feeding stimulant, perhaps it's time to consider taking up golf?